5 Volumes, 9 Issues, 10 Articles available from 2014 to 2019. 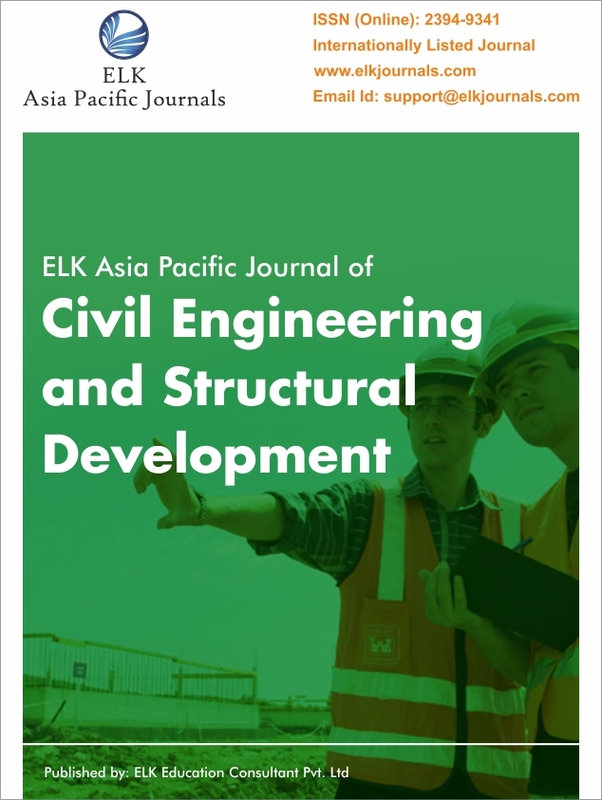 Committed to original, inter-disciplinary research papers entailing theoretical and applied study on civil engineering and related areas, ELK Asia Pacific Journal of Civil Engineering and Structural Development, is an Open Access Refereed journal. With the onset of this international journal of civil engineering, we intend to publish review articles, case studies, practice-oriented papers to add to the advancement of science and technology in civil engineering. The Indian Journal of Civil Enngineering as a community to present and discuss matters of major interest provides accurate, adequate, relevant, and high-quality work through the double-blind peer review process. Original and innovative research work is encouraged contributing significantly to the research and development activities in the stream of civil engineering and structural development. The Online open access allows a wider readability. EAPJCESD is a fast access to sufficiently well-conceived research papers, executed and described to justify the scientific evidence encompassed though the study. We hope that this publication would serve researchers, scientists, industrialists and other policy makers with innovative processes of advancement and innovation in the domain of Civil Engineering and Structural Development.